Lonely Planet Budapest & Hungary is your passport to all the most relevant and up-to-date advice on what to see, what to skip, and what hidden discoveries await you. Ogle sinuous Art Nouveau architecture in Budapest, take a cruise along the blue Danube, or see the dust fly at a cowboy show; all with your trusted travel companion. Get to the heart of Hungary and begin your journey now! Cultural insights give you a richer and more rewarding travel experience - including history, architecture, painting, folk art, music, literature, etiquette, religion, landscapes, wildlife, wine, cuisine, and more. Coverage of Budapest, the Danube Bend, Lake Balaton, Szeged, Pecs, Sopron, Southern Transdanubia, the Great Plain, Western Transdanubia, Eger, Northern Uplands, Szentendre, Visegrad, Villany, and more. 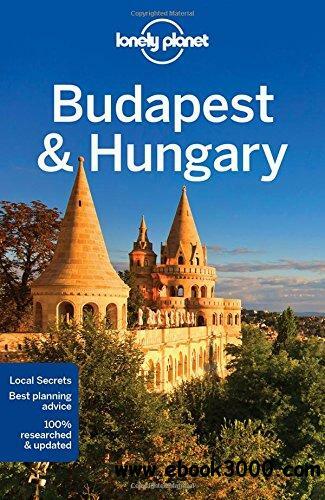 The Perfect Choice: Lonely Planet Budapest & Hungary, our most comprehensive guide to Hungary, is perfect for those planning to both explore the top sights and take the road less travelled.